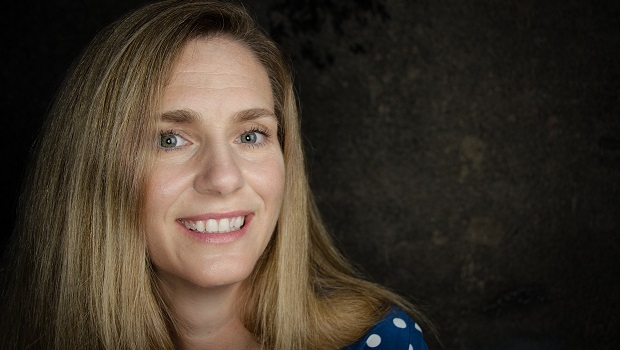 The Center for Data Innovation spoke with Jana Eggers, chief executive officer of Nara Logics, an artificial intelligence company based in Cambridge, Massachusetts. Eggers discussed the value of recommendation engines for businesses and the overlaps between neuroscience and computer science. Joshua New: Nara Logics’ software platform is essentially a recommendation engine for businesses—it analyzes enterprise data to prove contextual recommendations so companies can make more informed decisions. Why is AI so useful for this type of application? Jana Eggers: On the consumer side, the challenge with recommendations is the personalized aspect—what we like, and even when we like that. How you feel at a certain day or time, as well as the company you are with, makes decisions contextual. Enterprises have that too. Take for example the decision of where to land a late arriving plane across even just a few options of gates. Each of those options have many different connecting points: ground crew, gate crew, next destination, passengers and their destinations and schedules, crew and their destinations and schedules. And this information is changing on a regular basis based on every other thing happening on the ground. As the military strategy that says, “No plan survives enemy contact.” With business the enemy is often change, and we are helping people respond to change with the best recommendations for action. New: Nara Logics bills itself as a “synaptic intelligence” company. What does this mean exactly? Eggers: Our co-founder Dr. Nathan Wilson did seminal work in neuroscience on how to calculate the strength of the connection between neurons—the synapse—and how and why the strengths change. Turns out that our brain changes the strength in these connections based on context and stimuli to bring attention to relevant information it has stored. Since he was inspired by how our brain processes information to take action and the key to that process is the synapse, it was only appropriate to call the way we calculate the connections between information “synaptic.” What it means for our customers is that we have built a way to process and store their relevant business information, so the relevant information can be retrieved and processed quickly enough to provide a context relevant product recommendation to a consumer, and a context-relevant recommendation to business analysts or ground crew, based on the business use-case. New: It’s easy to understand how data-driven recommendations are useful for e-commerce or entertainment—personalizing product recommendations or restaurant picks for potential customers, for example. What other industries benefit from this approach? Eggers: One of my favorite examples is a healthcare company, which has a division providing e-commerce for medical products that are paid for by insurance. They have a process for approving orders to ship to verify that orders will be paid. This process can take two to four weeks. They wanted to be able to ship on order. Our platform is able to provide recommendations not only for which products can ship immediately, but also which ones will never ship. Imagine waiting four weeks to only be told a medical product was not approved by insurance. This ability to work through the issue or find other means immediately is critical for the company and their customers. What is amazing is that we are working on a similar problem for an airline. They needed to know which bags they have that could be loaded early onto a plane. Now, they do not load bags on a plane until 20 minutes before the flight—once passengers are on board. Our platform is able to make recommendations as to which bags can be loaded early and which ones should wait. Again, all based on specific context to that flight at that time for that passenger. The operational benefits of including a much richer dataset for most business decisions prove out quickly. New: Concerns about the use of AI often stem from the fact that it can be difficult to figure out why an AI system made particular decisions. Is this an issue for your customers, who may be skeptical of these recommendations? Eggers: While of course we have to perform better than their current solution for recommendations or decision support, this is where we really win customers, particularly our business-to-consumer customers. Because of our approach to this problem—using synaptic intelligence—we return a “why” with each recommendation. We can tell customers the information that drove those recommendations. They can also provide immediate feedback and we can re-evaluate the information and provide another set of recommendations. So for example, if you want more comedy in your movie tonight than normal, or the ground crew knows there is a problem at a gate the system doesn’t, this information can be fed into the system and new recommendations can be generated. And again, there would be reasons with each of those new recommendations too. New: Nara Logics has several scientific advisors on its staff that are all experts in neuroscience. Could you explain the relationship between neuroscience and computer science? Eggers: The field of neuroscience is learning rapidly based on new technology—like the measurement technology that Nathan and his team invented. As we are inspired by the biology, it is important for us to continue to learn from what the lab is seeing. Nathan and I regularly meet with Mriganka Sur, a neuroscience professor and one of our scientific advisors, to talk with him about what we are seeing with customers and if there is research that would help inform new features for our platform. What is also key for us is computer science discoveries. We learn from another one of our advisors, Sebastian Seung, about the latest research and approaches in machine learning and computational neuroscience. We are honored that they have both chosen to support us, as we continue to develop our platform to answer customer needs.